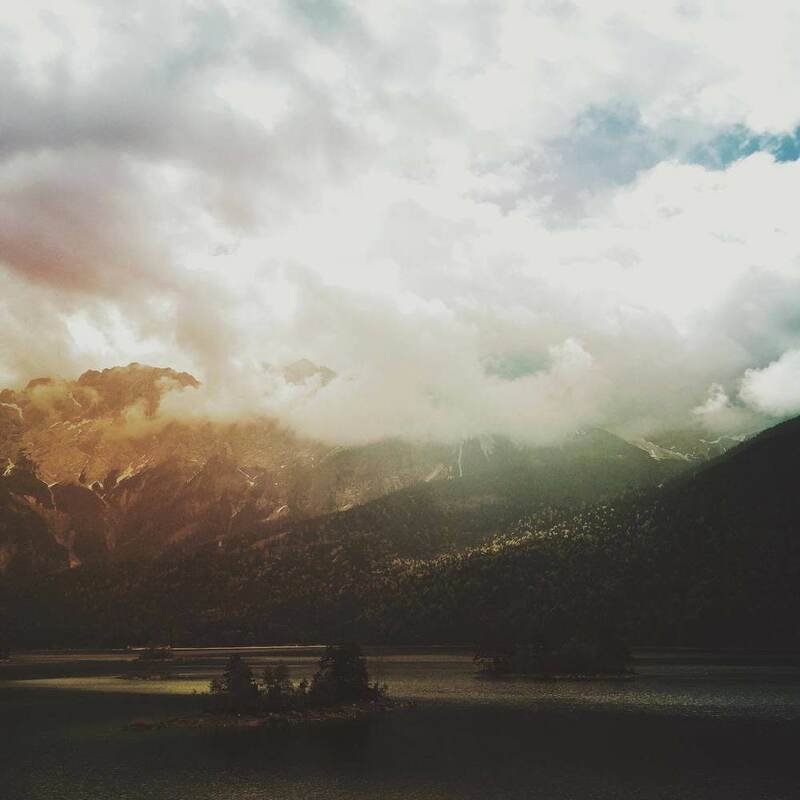 Capturing Germany's beautiful landscapes is one thing that Julia Baier (@mhhh.beer) excels at. Her photographs always seem to be composed in such a way that, no matter the landscape, your eyes are drawn to lovely, burning light splashed across it. For some time now she has been using Mextures to enhance her already beautiful photos and so naturally we wanted to learn more. We chatted with Julia for some time, discovering more about her as a person and a photographer and also the many ways she uses Mextures in her editing process. Hola! My name is Julia, I’m 22 years old and I like beer. I have a weakness for coats and I’m not able to ride a bicycle. I’m from Germany and I’m currently living in a city called Darmstadt which is near Frankfurt. I really like living here. Especially when you own a car, it’s pretty easy to get anywhere you like quickly because it’s in the middle of Germany. If you want to escape the city-trouble, no problem at all! Just drive 20 minutes in whatever direction (I prefer George. He’s my car.) and you’re surrounded by beautiful fields or forests. Which is a dream if you love taking pictures of nature like I do. Right now I’m in my last semester (currently studying digital media/video) and will be filming my bachelor-movie in September. And that puts me right into the middle of my dreams and passion. In September my best friend and I will be going on a roadtrip in the US. We’ll land in Seattle and drive down the West Coast. I’ve never been to the US before so I’m SUPER excited and can’t wait to take TONS of pictures. Every day I see so many pictures on my Instagram feed of beautiful national parks and people who seem to travel all year long. Now I’ll have the chance to do that too! I’m fully packed with my Nikon for taking some serious, cool, portrait-in-the-nature-stuff, my iPhone for photographing great nature and my Lumix for documenting and filming our trip. Photography is my passion. It has been for about 6 years now. Taking pictures with people, editing till 4 o'clock in the moring while listening to inspiring music. And then get into bed and edit some nature shots with Mextures. Always experimenting, trying new stuff until I fall to sleep. My dream is to share my passion, photography, with people all over the world. I love looking at pictures and getting inspiration from them and the biggest compliment for me is always when people say that they feel inspired by my work. I’m just so passionated about art. To pick up the brush again and paint. To write. To make music. Art is such a beautiful way to express feelings and turn them into something good. And even with color-grading a simple picture of a landscape you express something and show a little part of yourself. Do what you love and never let anyone tell you what’s wrong or right when it comes to art. So how did you first become interested in photography? That is kind of an interesting story as well. My father bought his first DSLR camera about eight years ago. It was a Nikon D40x and he always took it with him when we went on vacation. One day at home my mother came to me and said, “Hey! Come over to the conservatory. There's a fluffy grub. Look at it.” So I came over and we watched this tiny animal crawl over our floor tiles. "Why don't you take a picture with dad's great camera?" she asked. And that's what I did. Well, I tried. It took me some time to even turn it on. Then I took a picture. And then another picture. And a third one. All were blurry. That's when I realised that it isn't that easy to take pictures and that owning a DSLR doesn't mean that you're going to shoot awesome pictures automatically. Later in the evening I showed my dad the pictures and asked him why it didn't work out as I wanted and he explained patiently how all components work together. Aperture, ISO, shutter speed, etc. That was pretty much the starting signal for me and from that point on I grabbed whatever camera I could find and went outside to take pictures. It began with landscapes and nature stuff and the portraits came up much later. And here I am, 6 years later, shooting weddings, portraits, landscapes, artsy stuff and slowly making a business out of it. You always do a brilliant job of adding or including light in your pictures. How did that come about? Is that a personal style or just happenchance? Well I’ve always had fun with color-correcting pictures tp make them look like anything other than the picture that came straight out of camera. It’s kind of a philosophy when it comes to stuff like that. Many people like their pictures as untouched as possible. For me it’s a kind of challenge to see what I can make out of a seemingly "boring“ picture of a forest for example. When I discovered Mextures for the first time it was like a whole new world of editing for me. Endless possibilities. I’ve never used overlays that much in my photography before - just sometimes for experimenting. But especially for landscapes it’s SUPER AWESOME! I love to add light to my pictures or direct it and emphasize it with contrast afterwards. Sometimes I even add some lightrays. Unfortunately I’m not always in the right spot at the right time, so I need to add a sunset to make it awesome. So even for a simple picture that you took with your phone it can take just 15 minutes to create a good edit. So how specifically do you use Mextures in your editing process? I always use mextures to give the picture a general direction when it comes to lighting and colors. I often choose a gradient, set it to the screen blend mode and then look to see if I need to decrease the contrast of the general picture and if I have the light parts right where I want them to be. Sometimes I feel like I want the picture to be blue or lilac and sometimes I just go with the flow, try stuff out and see how it develops. I totally love the Anomaly bundle to add a little interesting light here and there. After creating the "soft“ image I bring the contrast back in and some tiny color adjustments in VSCO. Sometimes I'll do this up to three times - adjusting the contrast, exporting and repeating. It’s like using different adjustment layers in Photoshop. So to put it in a nutshell: I use Mextures for directing the light, adding gradients to the sky, creating a blue feel or tint to make it more dramatic and then bringing the contrast back in. Do you feel like Mextures offers you anything that other edting apps do not? Well, it offers endless possibilites. And by saying endless, I mean ENDLESS. There are so many different overlays and with the blending modes you are able to combine them in so many different ways. I’ve been using Mextures every day for about a year now for editing my pictures and I still don’t feel like I’m using 40 percent of what the app offers you. Sometimes I think, “Oh let’s try something new. Maybe I'll use this blending mode this time,“ and it turns out to be super awesome and offers a whole new world when it comes to editing. You never have a feeling of boredom with Mextures and that’s what I love. Even after a year I’m still discovering new stuff. That’s what it makes so special to me! Do you ever create formulas in Mextures? If so, would you mind sharing a few? 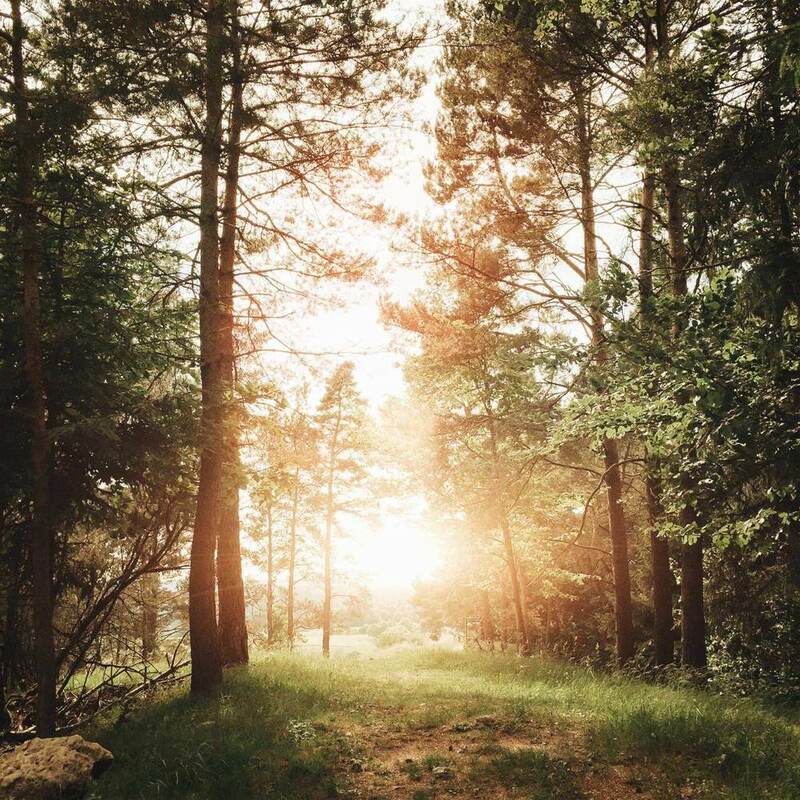 SUMMERFOREST - (KWXUJFM) - This is a formula that I've used for so many of my forest pictures. No matter what the temperature was like, it gives your picture the feeling that the sun was shining and that the photo was shot during the most perfect light situation ever. DAY4NIGHT - (WHKQDKJ) - I used this one for one of my most recent edits - one with the night sky. Last year when I did the color-grading of a movie during my studies I got in touch with the "day for night" technique for the first time. I needed to turn some shots that were filmed during the day into a night shot. It was a challenge and I really enjoyed doing these because it's not as hard as you think. Somehow I'm addicted to it again and here's a formula which makes it pretty easy. BOAT - (TWYZQHH) - I'm not the most creative person when it comes to giving my formulas names. This one will give your picture a glowy and soft look. Almost a bit dream like but in blue shades. It’s erfect for pictures with water and I guess landscapes in general. ISLAND - (MNMLSHN) - I really like this one as well. It has a more natural feel than "BOAT" when it comes to the colors but gives your picture a really soft and dreamy look by reducing the contrast and using some layers blended in screen mode. Is there anything that you hope to accomplish through your work on Instagram? Any goals or hopes or dreams? That's a tough one. I don't have anything specific in mind. I'd just love to go on with posting pictures and hope to reach more and more people within time. Instagram makes it so great to see other people’s work and becoming inspired. I love waking up and check my feed while I'm still in bed. It's such a nice place to get inspiration from. You see pictures from distant places and get the feeling, “I should go there, too!” I see portraits that inspire me to go outside, grab my camera and shoot, or simply photos that people would like to share with others for any reason. As much as I love being inspired by others I would love to show my pictures to the world as well and if there are some people from time to time who like my work and start to feel something when they see it that's great. The best thing is that I've gotten to know and I’ve met so many great people via Instagram. And I hope that it will be more and more in the future. I'd love to get to know people from all over the world and meet up, be creative or just have a beer and a good talk. What have you found inspires your photography more than anything else? I guess just life. There are so many things you see, feel and think about. Dreams, life situations, moods - there is so much that inspires me especially when it comes to colors. But inspiring is maybe not the right word. More like influencing. Recently I have felt super inspired by the dreams I have. Recently I’ve had a lucid dream where I saw a starry night sky. I woke up and knew what I wanted to create next. It was an like an urge. I stood up a few minutes later, looked for a picture in my photo stream, turned it to night and added a night sky as well. There were so many ideas in my mind at that moment. And moments like this are really rare for me. And of course other photographers. But that concerns more my "serious“ photography - wedding or portrait - than my nature stuff. And for my journey to the US I am deeply inspired by Elizabeth Gadd’s work. It’s so beautiful and combines the two things I love the most: photographing landscapes and people. Just beautiful. Who are some of the people from Instagram whose work has maybe inspired you or really impressed you in some way? On Instagram I'm totally in love with pictures of nature. It's always great to see that even the Instagrammers from Germany can take such epic pictures. I always thought that it was impossible to take good pictures of mountains and stuff here in Germany, but oh boy, I was so wrong. Just take a look at @hannes_becker or @jannikobenhoff or the entire @germanroamers account. It makes me want to simply grab my backpack and a tent and go explore the German Alps. When it comes to colors I especially love @joshterada and @ravivora. Such a good and gentle use, even if they're creating super different stuff! Be sure to delve into more of Julia’s lovely work here!